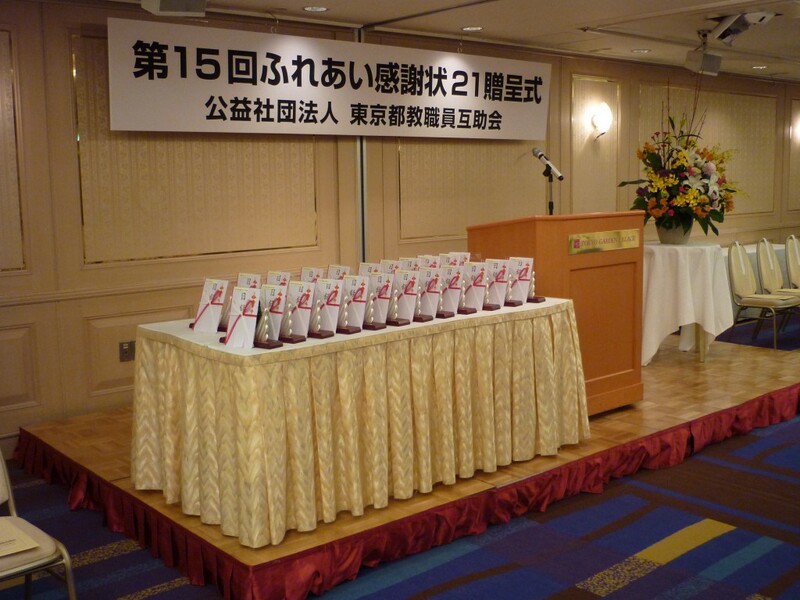 Tama Technical High School members got honored. 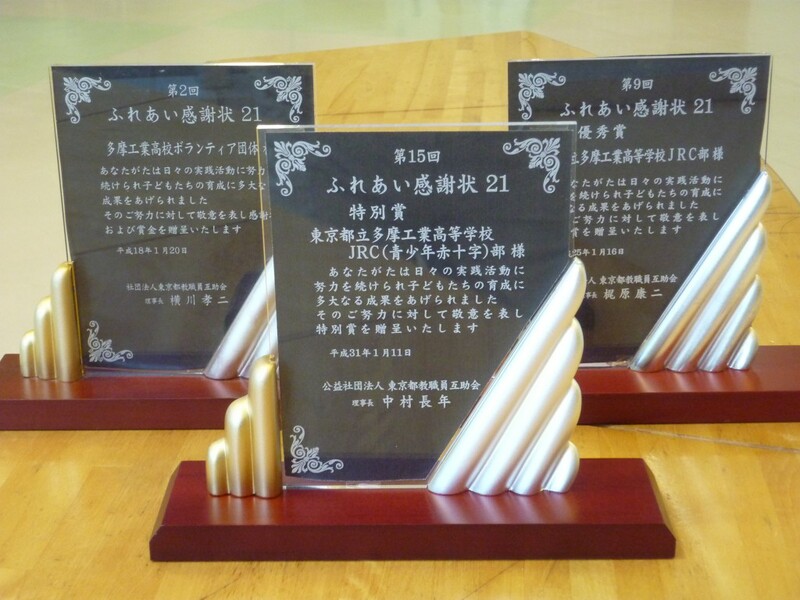 Tama Technical High School members, who attend our monthly meeting regularly, got the award “FUREAI KANSHAJO 21(Gratitude for close relationship)” from Tokyo Mutual Aid Association for Teaching Staff. Their activities in our monthly meeting was highly valued. The members belong to JRC, which has had relation with our NGO for years, and they are always a great help in our refurbishing work. They also join other local activities such as electrical workshops in elementary schools, summer festival in Fussa and disaster drill in Fussa. Their JRC got honored for the third time, in 2007, 2013, and this year 2019. No other club or group is said to have had this award three times. It’s Mr. Takano, who’s been in charge of JRC from the beginning, that has led the students to this honor. 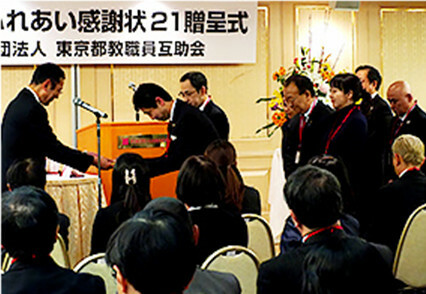 (Left)The ceremony was held at Tokyo Garden Palace on January 11, 2019. 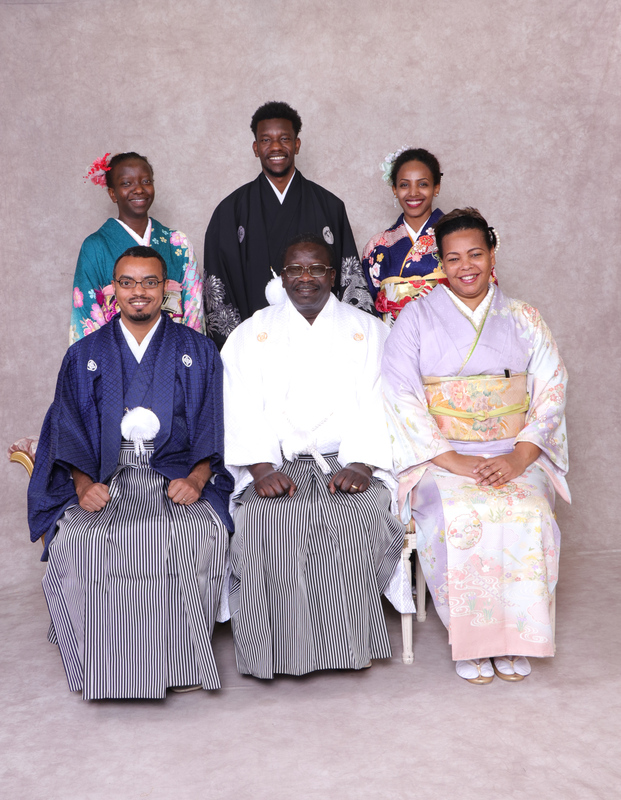 Photo from website of Tokyo Mutual Aid Association for Teaching Staff. 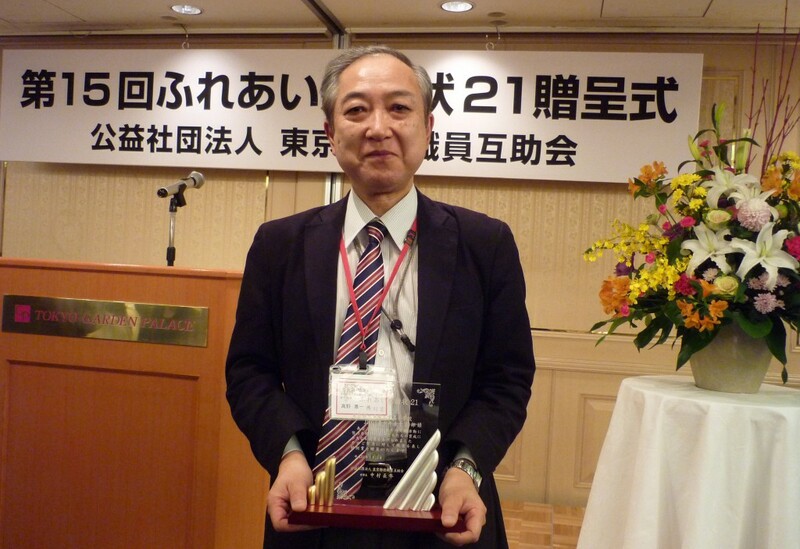 (Right)Mr. Takano holding the plate of honor. (Left)Their three plates. The center is this year’s, the left in 2007, the right in 2013. 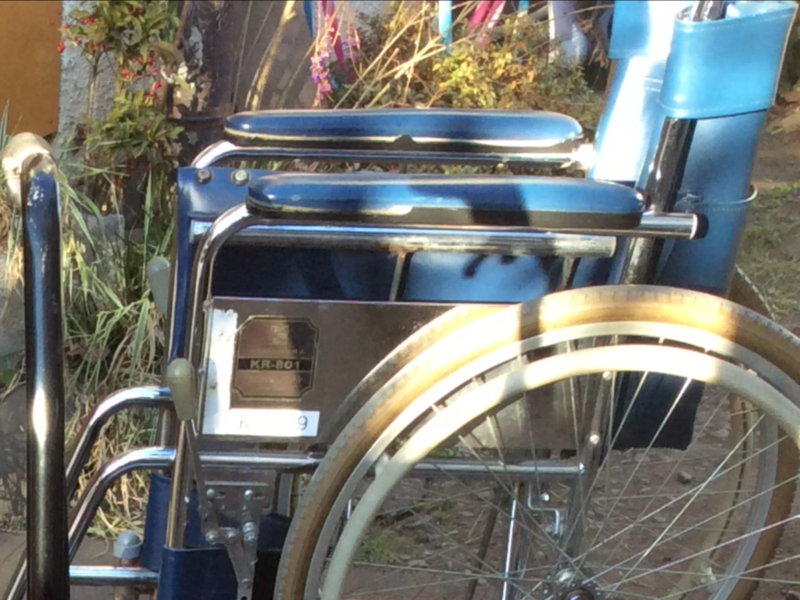 The 90 wheelchairs reached Varanasi, India, in January 2019. On February 23rd, the donation ceremony was held at one of the educational facilities(Viswajyoti Guruku) of JVS with the attendance of more than one hundred people including state assembly members and staff from support organizations for the disabled. JVS hosted the ceremony as there was no attendance from our NGO. The 90 wheelchairs reached Laos via Bangkok in January, 2019. The donation ceremony was held at the office of ACDA(Aid Children with Disability Association) with the attendance of nearly one hundred people.The detail is from here. We did refurbishing 38 wheelchairs to send to Philippines in March. It was a fair Sunday, but the wind was cold. Still, there were around forty participants: Sagami Women’s University group, Vietnamese group, Ethiopian group, Tama Technical High School group, and regular volunteering members. We loaded 77 wheelchairs on the ship. It left Tokyo on Feb. 9th and they are transshipped onto the 2nd vessel at Takao, Taiwan, and will reach Manila, on 22nd. 〇 We delivered two wheelchairs to the ambassador of Ethiopia. We received a request of two wheelchairs from the ambassador of Ethiopia, who has visited our monthly meeting, and I delivered two wheelchairs to the Etiopian embassy with Mr. Abebe, one of our volunteers. One of them is to be sent to Gambella, the birthplace of the ambassador, and the other to Gondal. The container for these wheelcahirs left Tokyo Bay in late January. (Left) The pink one for Gondal, the blue one at the back for G..
(Right) The girl who is waiting for our wheelchair. The blue one for the girl above. 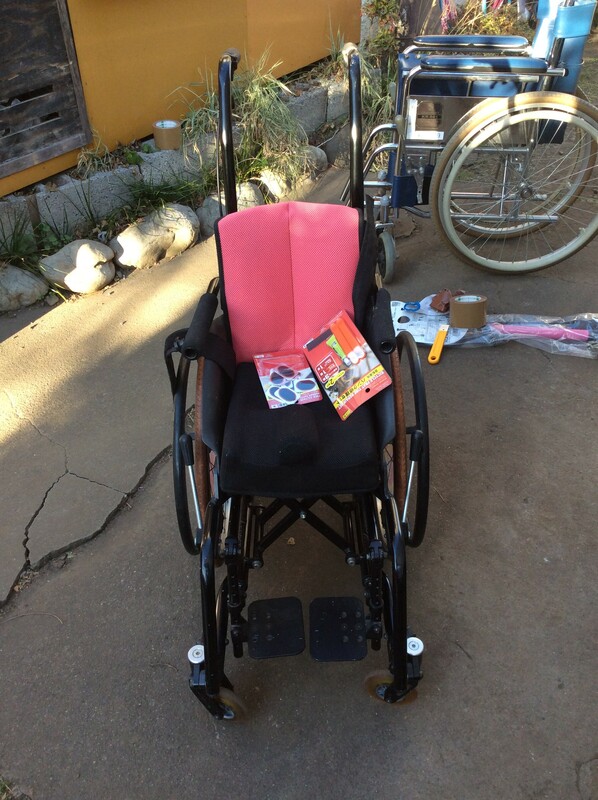 We did refurbishing 35 wheelchairs for Philippines. 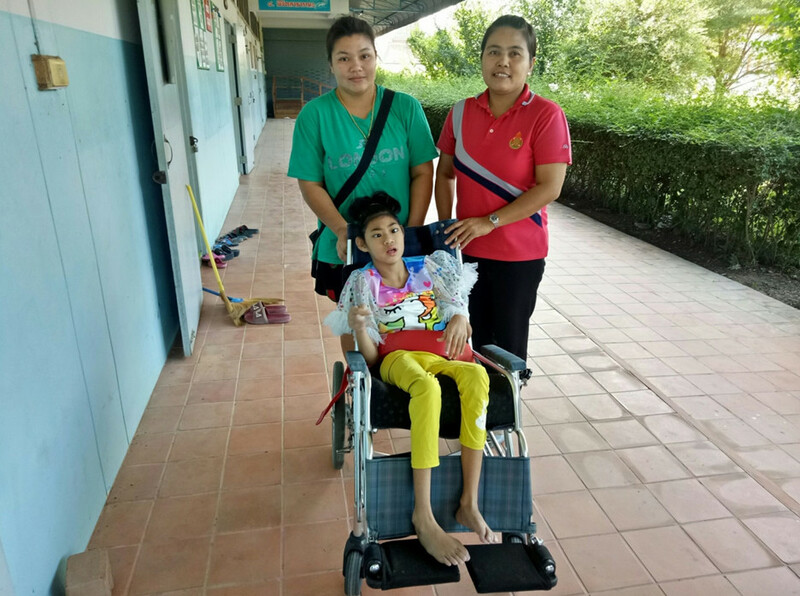 The 86 wheelchairs and 110 sets of orthoses we sent in September last year arrived in Thailand on October. 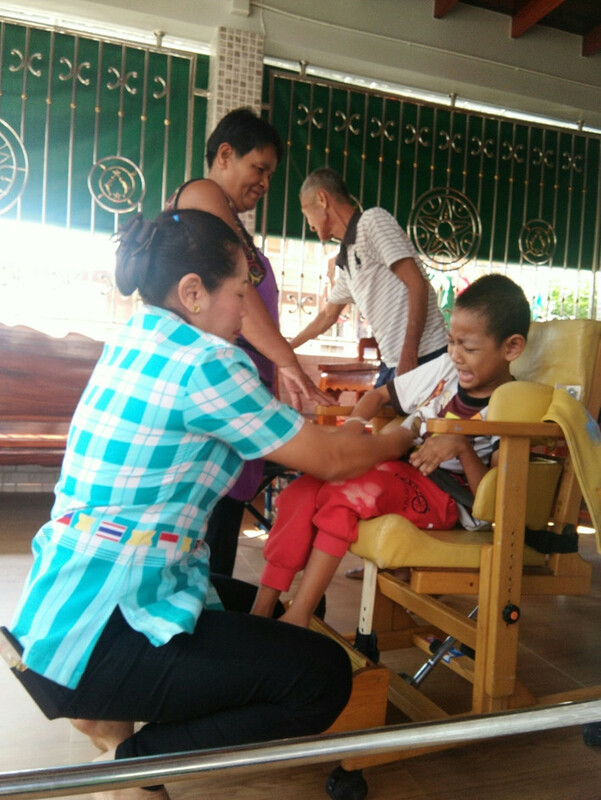 We received several photos of Thai children, who had just got their own wheelchairs at the donation ceremony. Our NGO sent seven hundred seventy-nine wheelchairs to eight countries last year. It’s all thanks to our supporters and people who take part in our activities that we made it. 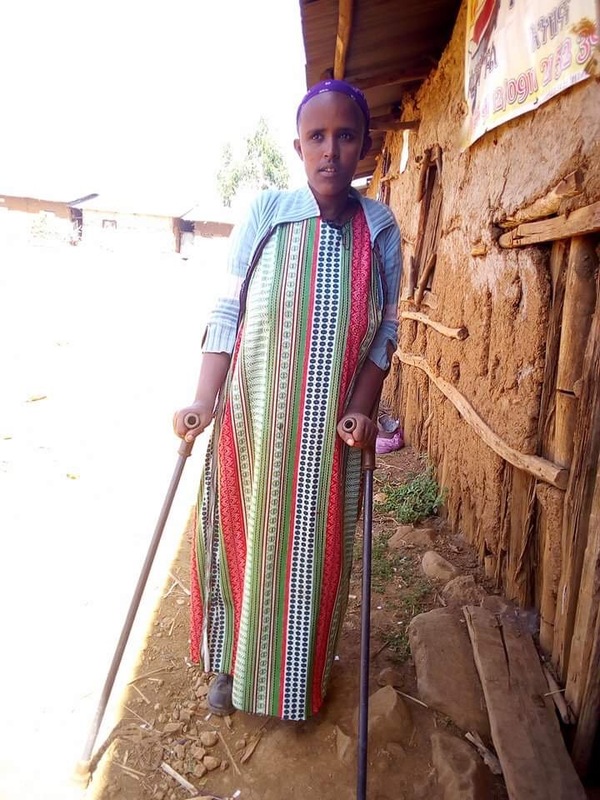 From the very beginning, we promoted our work from different perspectives like how many wheelchairs we should collect, how many people would be able to join the refurbishing work, and whether we would have enough funds. It takes lots of time and effort to deliver wheelchairs abroad, and we don’t feel fully relieved until they get to their destination. It’s not only our members in Japan but also overseas partners who try hard to get all this work through. I’d like to continue to do this activity with the help of these people. 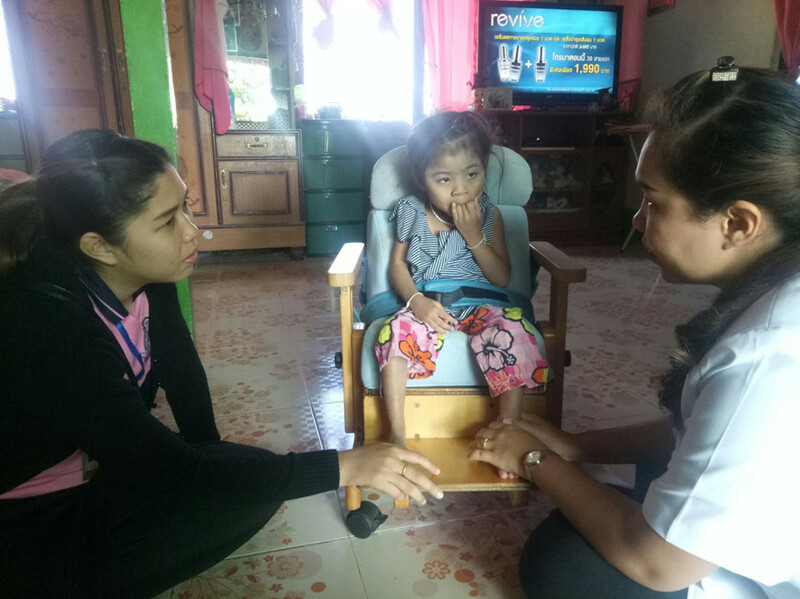 My wish this year is to keep sending wheelchairs to overseas children with the help of all of you.